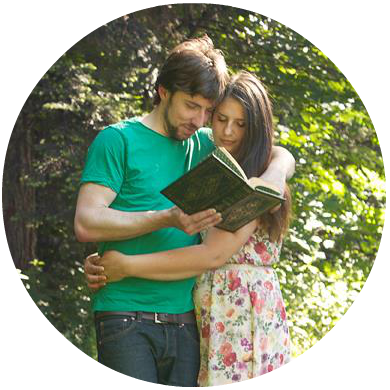 With our wedding now in the past, I’ve been looking for ways to keep the day alive in small ways. 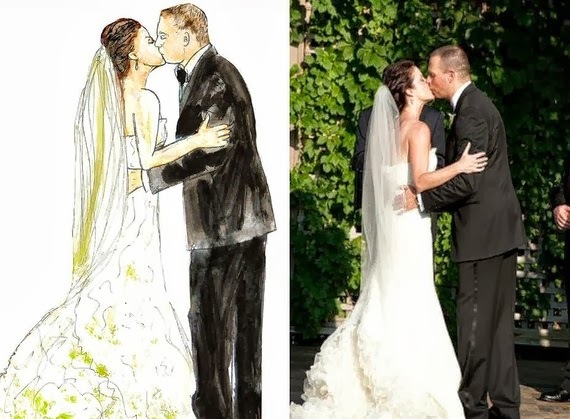 I’ve been dreaming about getting on of our wedding portraits illustrated. Illustrations have a timeless appeal and cut down on some of the visual clutter to focus on what is important. Below are a few artists at different price points that have caught my eye! 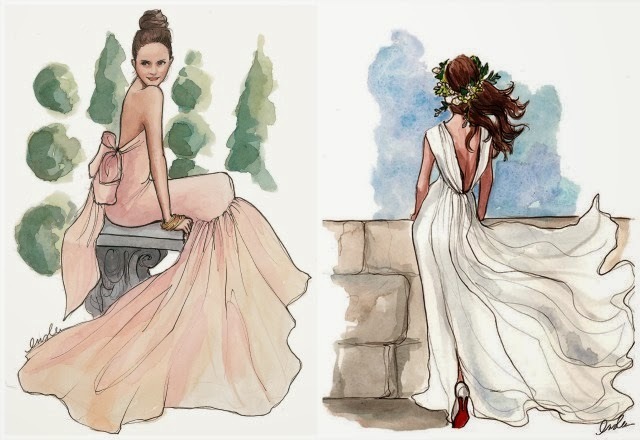 Inslee does watercolor illustrations that are just beautiful. I’ve dreamed about getting our portraits done for a while with Inslee in mind. She makes everyone looks so beautiful and stylish. 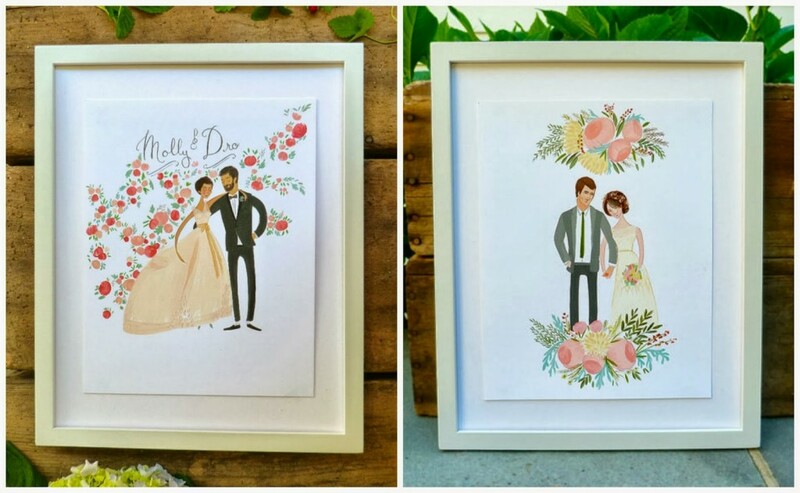 Stephanie offers cute illustrations that are within budget. At $30 a piece – you could get a few done! Jolly Edition illustrations are so fun and whimsical. I love the backgrounds and frames that accompany some of the images. 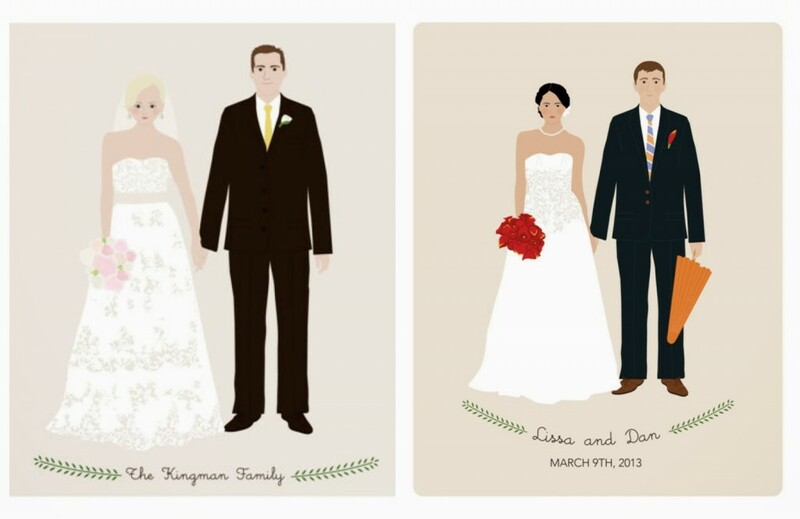 I love these sweet, crisp illustrations; they remind me of paperdolls. She also does family portraits, which I’m considering as well.